So this week, we have a wonderful friend and sponsor for our instagram photograph challenge – Camilla Westergaard, from Folksy and Butterscotch & Beesting. The theme for #sgiew is #sgiew_HANDMADE – and we’d love you to join in for a chance to win a wonderful set of Camilla’s cushions – worth £100! So to join in, make sure you are following your @sogoodineveryway hosts, @incredibusy, @redtedart and @willowdaygram and of COURSE our judge @bbutterscotch! Ali – : Tell us about yourself Camilla! I’m Camilla and I’m in charge of words and content at Folksy.com. 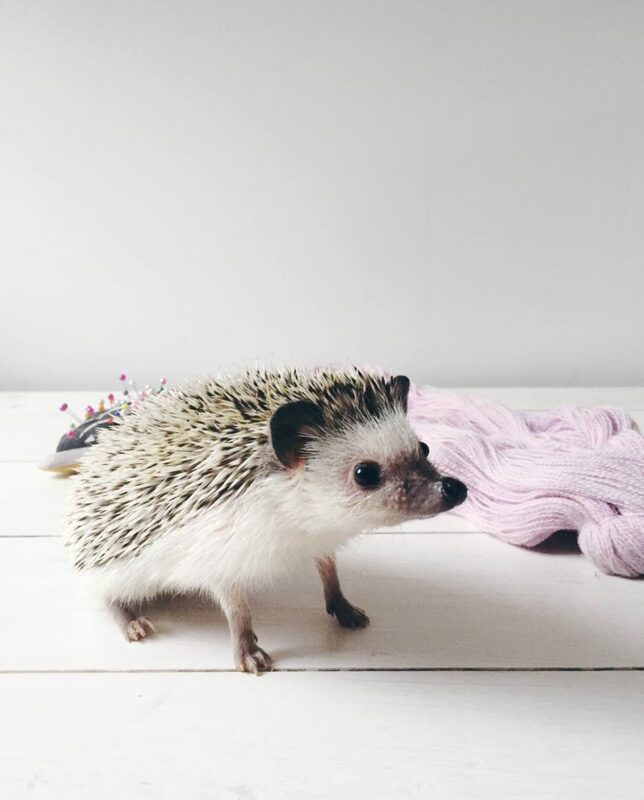 I also have my own mini company called Butterscotch & Beesting, three children, four cats and a hedgehog called Herb. Q: Can you tell us a bit about Butterscotch & Beesting? It’s a very small homewares brand based around a magical imaginary circus called Butterscotch & Beesting. 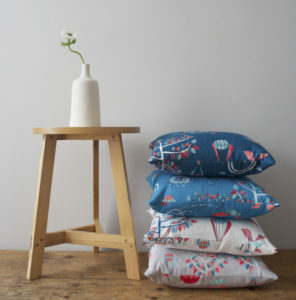 I design patterns that tell the stories of the circus, and then make cushions and lampshades from those fabrics. Some of the fabrics are digitally printed in the Lancashire and some of them are screen printed by me. I sew all the cushions and make all the lampshades in my attic in Sheffield. I also love playing with ceramics, so I’m very lucky that my mum is a potter and lets me come and practise in her studio – I just wish I had time to make more because there’s so much to learn. Q: What is Folksy and what do you do there? 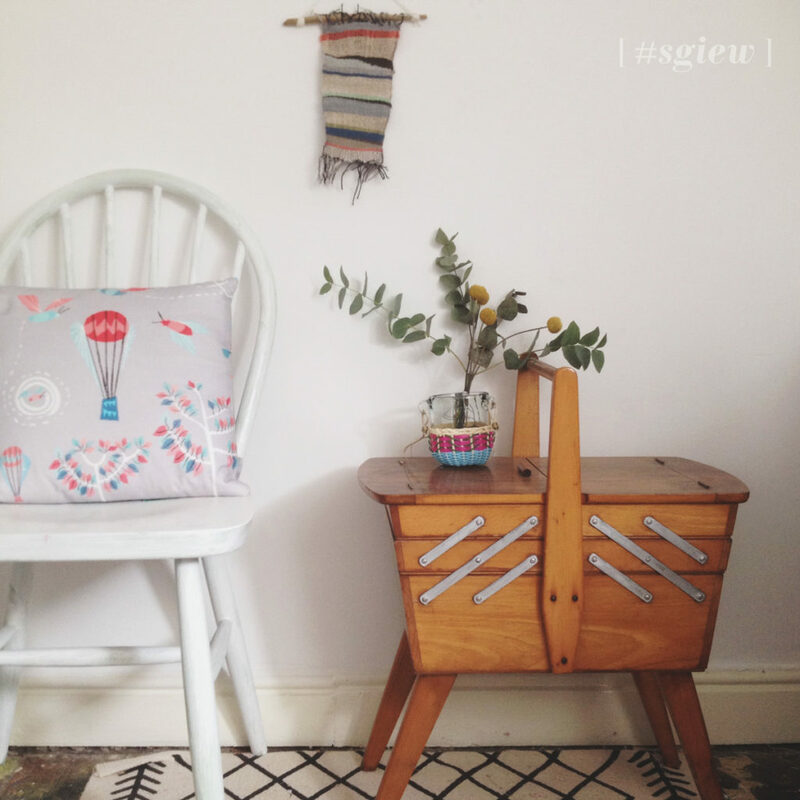 Folksy is the biggest marketplace for buying and selling British craft. It’s very focused on handmade – vintage or mass-produced stuff isn’t allowed. Anyone who lives in the UK and designs or makes their own work can open shop, so you can find pieces that have been made at a kitchen table by a retired seamstress with years of experience sitting next to pieces by a professional designer with an amazing studio and customers all across the world. What they have in common is their skill, craftsmanship and love of design, and I think that’s fascinating. Q: Do you think handmade is having a moment? Definitely! People are much more aware of what they buy and how they consume than they were even five years ago. I think we’re moving away from a throwaway culture and we’re now more willing to invest in pieces with meaning and longevity, and looking to independent designers and makers for those. There’s still a way to go though and we need craft skills to be valued more highly (especially in education), so people understand the knowledge and expertise that goes into a handmade piece and why it should cost more than something mass-produced in a factory abroad. I actually think social media has helped a lot here because you can see the process and the maker behind the work, and get a glimpse of the skill that goes into each piece. Now we just need to get the government to invest more in our creative industries and raise the status of the arts from the bottom run of the school curriculum. If that could happen, I would be very happy. ‪#‎sgiew_HANDMADE‬ – ends Midnight Sunday 10th July.